Over 600 law enforcement officers, industry leaders and cyber security experts from around the world attended the Cyber Security Consortium 2018 at the Police Headquarters from October 23 to 25. The event was held by the Cyber Security and Technology Crime Bureau (CSTCB) to raise local awareness of cyber security and strengthen collaboration with other law enforcement agencies and the information technology sector. The theme of the consortium was "Cyber Security: A matter of survival in the volatile and ever-changing cyber world". 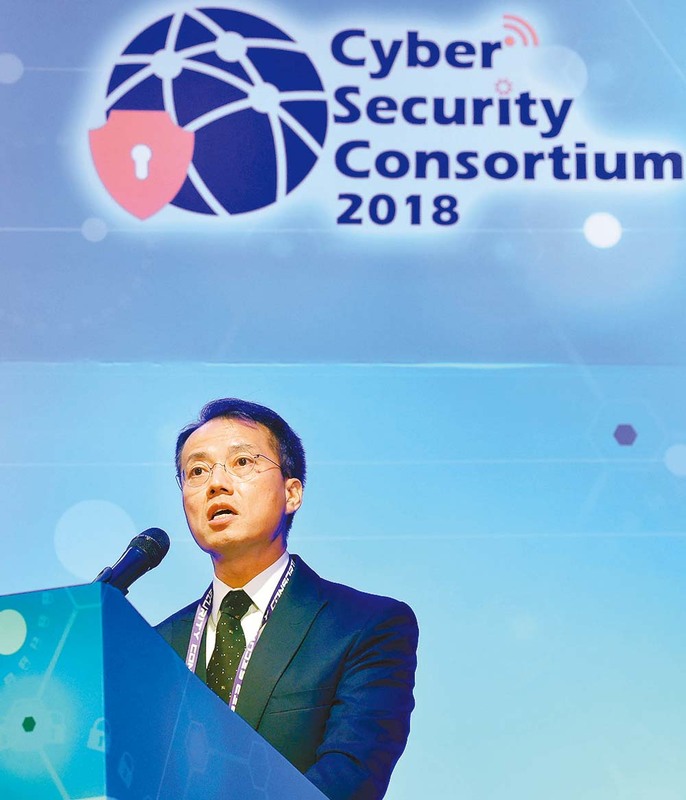 Delivering a speech at the opening ceremony, Acting Commissioner Lau Yip-shing said, "In safeguarding cyber security and combating technology crime in Hong Kong and even the world, no one can work alone. We must collaborate with stakeholders in different sectors to combat international cyber crime. I hope all of you can take this opportunity to gain up-to-date knowledge of cyber security and the trend of technology crime, build up your network and foster collaboration." Also speaking at the ceremony, Under Secretary for Innovation and Technology Dr David Chung said the consortium was an excellent platform for stakeholders to exchange ideas and share knowledge and experience so as to further enhance cyber security in Hong Kong and of the world in general. One of the keynote speakers of the consortium was Acting Director of Cybercrime Directorate of the INTERPOL Mr Takayuki Oku. 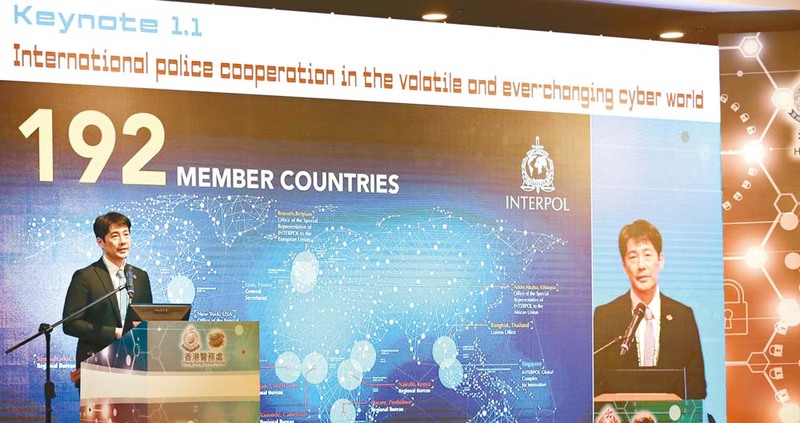 He stressed the importance of international police cooperation in combating cyber crime. 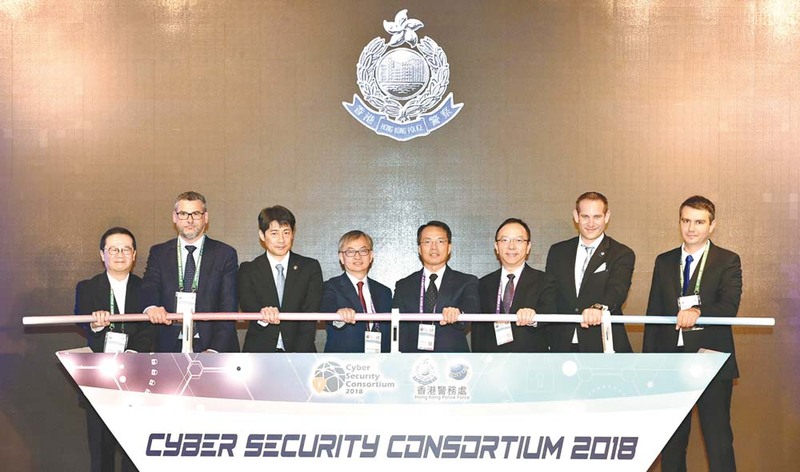 Meanwhile, cyber security experts and industry leaders from Australia, Hong Kong, Japan, Singapore, the Netherlands, Nigeria and the United States shared their knowledge of current cyber security issues. At the closing ceremony on the second day of the consortium, Acting Assistant Commissioner (Crime) Au Chin-chau said the sharing of over 40 distinguished speakers had inspired the participants on the formulation of strategies to address cyber security challenges. The third day of the consortium was a closed-door roundtable session. The CSTCB invited 40 local government officials and 66 overseas law enforcement officers to outline international efforts to combat cyber crime. 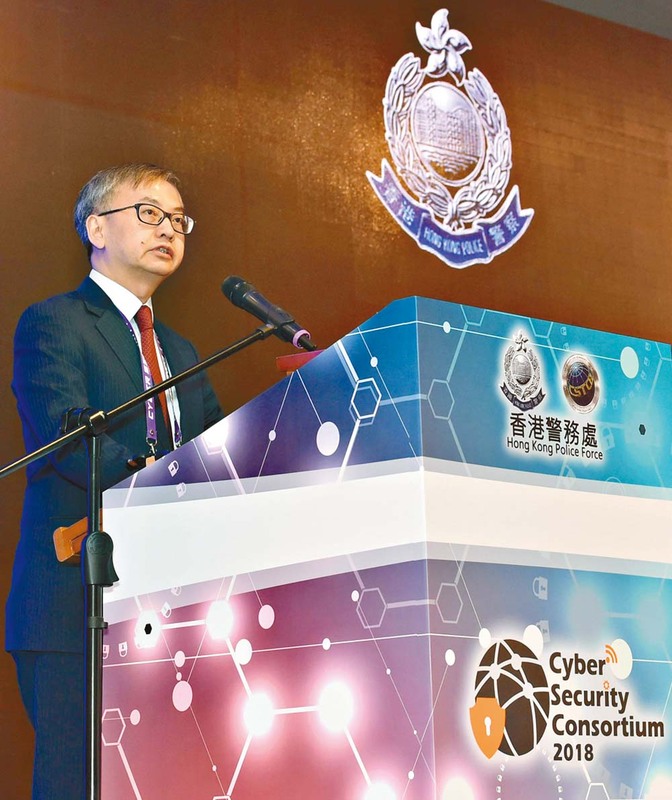 Chief Superintendent of CSTCB Chan Tung highlighted in his opening remarks that joint efforts of local and overseas law enforcement authorities were of paramount importance to combat technology crime and cyber attacks. Therefore, the CSTCB organised the roundtable session to promote cooperation among law enforcement officers from different jurisdictions, local government officials and industry regulators. The participants found the session very useful for sharing their knowledge and experience in safeguarding cyber security and exploring opportunities for cooperation in the areas of enforcement, training and publicity. Please visit the website of the consortium for more details (https://cybersecurityconsortium.net/).